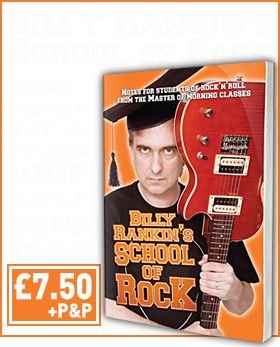 Rock News Desk has stopped providing world rock and metal stories – because we’re providing instead to Classic Rock Magazine. From today you’ll find the same style of delivery you used to find on RND at www.ClassicRockMagazine.com – and we hope you’ll switch over and continue following us. Since we launched in 2011 we chased our ambition of delivering the quality news service we believe you deserve: well-written, face-paced, intelligent and (almost) free of unfounded rumour. We think we certainly moved in the right direction, and on some occasions 100,000 of you agreed every day. RND will continue providing top feeds from round the world at www.RockNewsDesk.com – but if you want the kind of attitude and character we proudly delivered on these pages every day, you’ll find its 2012 incarnation over at ClassicRockMagazine.com as of now. Thank you for your support, your thought-provoking comments, your inspiring discussions and arguments here, on Twitter and Facebook, and the general feeling that you cared and valued what we were trying to do. It’s not anywhere near over.